Straw poll: Would you volunteer to staff the City’s yard waste/compost facility to save money? 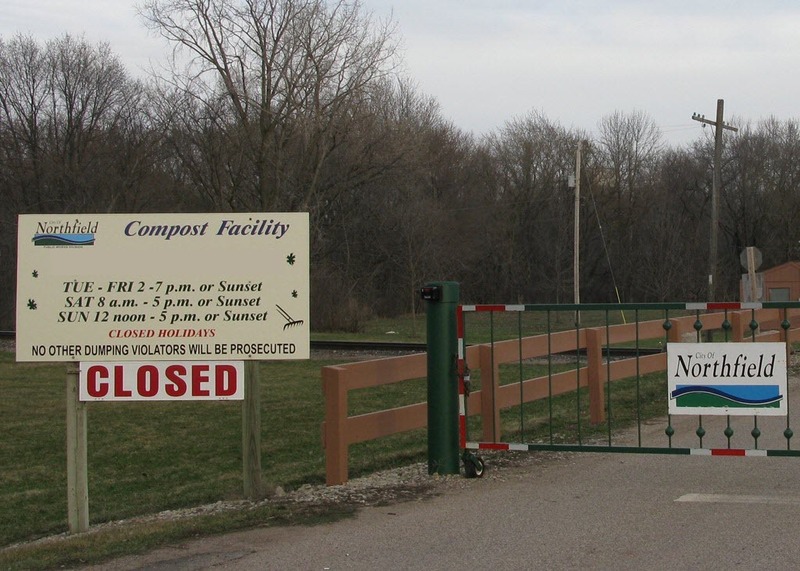 The City of Northfield’s compost facility is not due to open for two more weeks, April 13, despite the fact that spring has arrived 2-3 weeks early. Normally, I Ross Tracy would be bitching whining about the City’s lack of flexibility or poor “customer” responsiveness. But this year’s budget woes compel me to approach it differently. I don’t know how much the City spends each season to have a part-time people staff it but let’s assume it’s approximately $15, 000 (40 hrs/week * 30 weeks * $12/hr). The City could save money by cutting back hours and telling people to pay Waste Management or use the Rice County Recycling Center (see the 2010 compost site PDF). TJ Heinricy, Streets & Parks Supervisor, reported in the Aug. 21 Friday Memo that "The City compost site has been busy with the annual compost screening. This project entails the screening of two or three year old compost." I took the left photo a week ago when Dakota Wood Grinding’s compost screening equipment arrived. I took the right photo today showing that a huge mound of compost is now ready for citizens to use, first come, first-served. See the city’s yard waste page for more, including this compost site PDF.